Trade-specific tools from Milwaukee such as battery-powered drain cleaners for plumbing applications, and large hydraulic cable cutters, are available locally from distributor Upat. This focus on trade-specific tools is what sets Milwaukee apart as the premium tool brand for construction and related professionals. For example, globally the company offers a broad range comprising over 100 types of hand tools, over 120 tools operated on the M18 battery platform, over 65 tools operated on the M12 battery platform, and over 150 corded tools. While Upat does not distribute the entire Milwaukee range due to logistics and economies-of-scale, it focuses on those products that add specific value to the local construction and related industries – and in particular those tools that can improve quality of workmanship and reduce project time, Milwaukee Product Specialist Werner Koch highlights. Another important benefit for the construction industry and related professionals is the high level of aftersales service offered. “If our distribution partners’ cannot repair or service a tool in-branch, it is sent to the Milwaukee central service centre in Johannesburg, which we operate,” Koch explains. Here the tool is stripped and assessed, and any recommendations made with regard to the replacement of critical wear-and-tear components, or general maintenance such as regreasing, following which the tool is returned to the customer as speedily as possible. 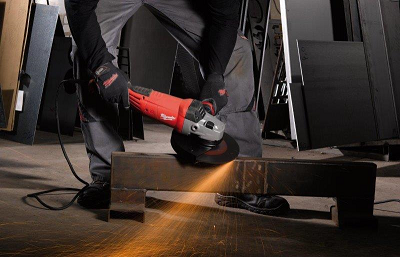 Milwaukee also offers a standard one-year manufacturer’s warranty on all of its tools, while the battery technology deployed has a standard two-year warranty for added peace-of-mind. In addition, Upat offers customers full training on all of the Milwaukee tools that it sells. 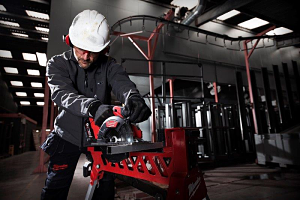 “One of the main reasons we provide customer training is to ensure the correct and safe application of all our Milwaukee tools, which is why we place such a major emphasis on education and awareness,” Koch highlights. Competency certificates are issued upon successful completion of the requisite training. A unique feature of these certificates is that they are issued to customers in both a full-sized and pocket version, which means that construction industry and related professionals can have a handy version on their person at all times to indicate that they are fully certified to operate the Milwaukee tools in question, which enhances safety on-site. Upat SA (Pty) Ltd., a 100% South African owned business, began trading in 1983 as the sole Southern African distributor of the fischer range of construction fasteners (anchor bolts, chemical anchors, nylon plugs, etc.) From the outset, Upat was committed to the building industry, supplying not only a range of anchor bolts, but also rotary hammer drilling machines, tungsten-tipped masonry drill bits, powder actuated tools, and allied building and construction products. The aim was to supply a range of top-quality products at market-related prices. This philosophy resulted in Upat becoming a market leader market leader in Southern Africa within a decade.